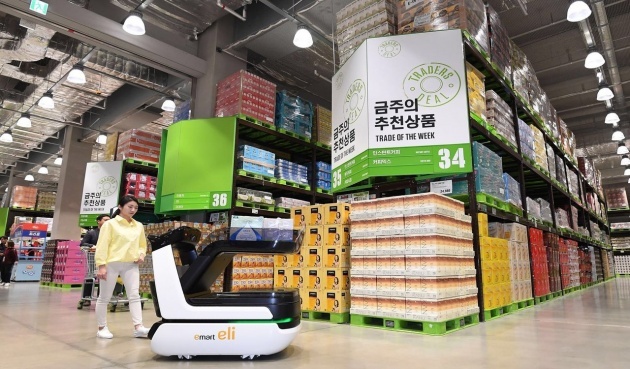 South Korean supermarket chain E-mart is testing autonomous shopping carts. Called Eli, the carts have smart sensors that react to human voices so it can follow a specific person. Additionally, Eli can guide shoppers to specific items on their shopping list. The cart has a display screen that details the location of items within the store. And the autonomous shopping cart can tell whether items in the cart have all been paid for.